CINCINNATI, OH (August 8, 2018) – The Katalyst Group, a brand development and strategic consulting firm, in partnership with the National Underground Railroad Freedom Center, with support from Procter & Gamble, have launched a new ethnic advertising and consumer insights platform, WorldVUE. The platform has been introduced in part to address the prevalent ethnic consumer backlash that numerous advertising campaigns have ignited. In the past nine months, several major brands such as Dove, Heineken, and H&M have launched campaigns that were perceived as marginalizing ethnically diverse audiences thus, eroding brand confidence and potentially sales among the fastest growing consumer segment in the global marketplace. WorldVUE’s innovative approach enables brand teams and their creative partners to resonate with, and not marginalize, African American and other ethnic consumers. The ethnic marketing platform has already received industry accolades through its presence in a major branding conference and work within major corporations. Katalyst and the Freedom Center delivered the WorldVUE platform to the world’s largest advertiser, Procter & Gamble (P&G) and its North American Beauty global advertising agencies in the Fall of 2017 and re-launched the platform to Brand Leadership in June 2018. Also in June, WorldVUE was delivered to the Publicis Groupe, the third largest global advertising agency. WorldVUE explores ethnic consumer insights, the make-up of marketing and communications teams and their processes, and identifies where cultural blind spots can exist. The outcome are action plans that enable brands to forge stronger, emotional connections to their target audiences without marginalizing ethnic consumers. A key cornerstone of the platform is the implicit bias content through WorldVUE’s institutional partnership with the Freedom Center, a nationally recognized cultural foundation focused on history and equity. 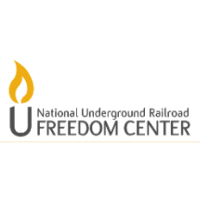 “The Freedom Center’s Open Your Mind Lab offering, designed in partnership with the Kirwan Institute at The Ohio State University, assists the public in recognizing and exploring recent debates in the realm of implicit bias and other forms of discrimination,” says Dion Brown, president of the Freedom Center. “WorldVUE provides the unique opportunity to broaden our reach while simultaneously customizing our scope based on the needs of companies who strive to learn, grow, and cultivate inclusive messaging and products." Why is removing bias in media essential? At risk for advertisers are sales growth and brand value generated from the ethnic consumer segment, which is the fastest growing population in the US, wielding influence in setting trends, and amassing spending power of over $3 trillion for African Americans and Hispanics alone. “The uncompromising ability for a brand to connect with diverse audiences is now a business imperative. Ethnic consumers expect authenticity in engagement and are quick to not only identify disparity in messaging and treatment but to sound the alarm as incorrect images can create false perceptions that other populations embrace as truths about them,” states Rugless. Fostering positive images in advertising and media can offer a lasting impact on equity and acceptance.